A new academic study on public perceptions surrounding Shell's Arctic drilling campaign — and word that Barclays likely won't finance future Arctic oil — are reminders that the region remains a battleground. The recent decision by another major bank to all but close the door on future financing for oil drilling in the Arctic won’t stop the industry. But Barclays’ announcement that it will avoid investing in controversial energy projects, including Arctic oil, points to the newest phase in a battle for winning hearts and minds. 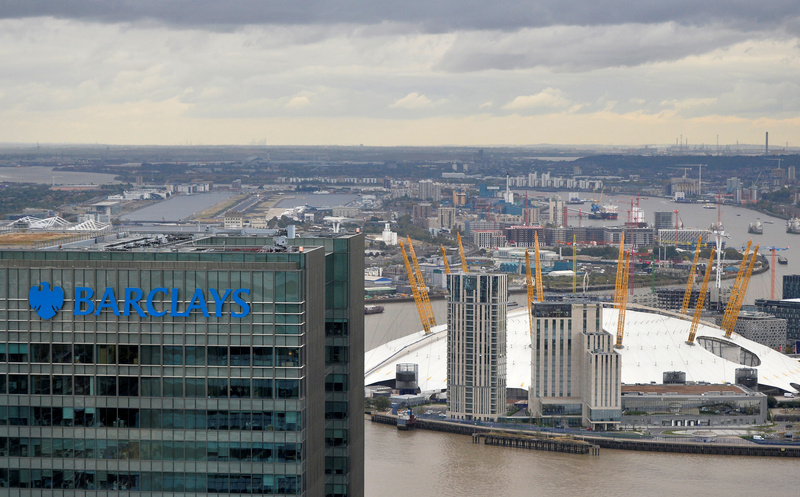 Barclays, based in the U.K., is the latest in a series of major financial institutions to raise a red flag about future investment in Arctic oil operations over concerns about climate change and environmental risks. The bank, which has been the target of protests by Greenpeace for its policies on oil sands investments in Canada, said future Arctic oil projects would not be likely to meet its rigid criteria for approval. This includes both onshore prospects such as the Arctic National Wildlife Refuge and the offshore developments threatened by sea ice, the bank said. Greenpeace derided Barclays for not taking a much stronger stance against oil sands development, while the Sierra Club said it was a move in the right direction. For supporters and opponents of fossil fuel development in the Arctic, the struggle to be perceived by the public as socially responsible is important. The Trump administration, with support from Republicans in Congress, is pushing ahead with plans to lease portions of the refuge for oil development. But environmental groups will fight this high-profile issue every step of the way, directly and indirectly. The latter category includes the international campaign to get banks to avoid fossil fuel investments in the Arctic. Think of it as a fight for legitimacy. In a study of the most recent battle in the fight over Arctic oil acceptability, two social scientists have looked at the competing narratives put forward by the industry and environmental activists during the years in which Shell looked for oil off the Alaska coast in the Chukchi and Beaufort seas. The company halted exploration in 2015 and returned all but one of its federal leases in 2016, after drilling a dry hole and encountering low oil prices and new regulations from the Obama administration. That followed a long public tussle between Shell and Greenpeace, which James Hein of California State University and Vidhi Chaudhri of Erasmus University in Rotterdam deemed a significant factor. “The innovative tactics that Greenpeace used by combining celebrity endorsements with occupational protests to gain news media attention enabled opportunities to delegitimize Shell and Arctic drilling,” Hein and Chaudhri said. Writing in the journal Social Movement Studies, the authors found that Greenpeace generated publicity and social media attention by focusing on potential consequences of oil spills and climate change. Shell countered by stressing the level of expense and planning that went into its venture to create safe conditions and job creation. It also said that interference by Greenpeace created risks for workers and protesters. On the longest day of the year in 2012, Greenpeace launched a “Save the Arctic” campaign and began a drive to collect 1 million signatures, headlined by the likes of Paul McCartney, Robert Redford and Penelope Cruz. Greenpeace staged protests at Shell headquarters in the Hague and at company gas stations and took other steps to disrupt operations and call attention to Arctic drilling. “Utilizing the courts to frame Greenpeace tactics as unlawful and therefore restrict their use against the corporation was the most popular Shell tactic with news coverage,” the authors said. “To delegitimize Shell’s tactics, Greenpeace also relied upon court rulings to lend credence to their own claims and to illustrate the futility of litigation in silencing opposition,” they said. The authors conclude that it is difficult to say exactly what role Greenpeace played in Shell’s decision to give up its offshore drilling plans. Not every factor was a direct result of the campaigns. For example, the Greenpeace effort was aided, they said, by a “crippling blunder” in late 2012, the grounding of the Shell drilling rig Kulluk near Kodiak, an incident that did more than any publicity stunt by an environmental group to draw attention to the risks of Arctic operations. But in the end, it seems to me, it was an economic decision by the company to suspend the Arctic venture after spending $7 billion in a decade-long effort. And the CEO of Shell told investors in 2015 that the decision in Alaska was not a close call. The company could have rationalized high drilling expenses and the “unbelievably complex regulatory environment that we were looking at,” he said, but only with high prices and a big discovery. “You would, of course, only do that if there was a significant amount of barrels to be potentially discovered. But, as it turned out, this one went bad on us,” he said. But such announcements counched in economic terms haven’t stopped groups such as Greenpeace from taking credit for the the decision. And so the battle for hearts and minds over Arctic drilling will continue.